This is an excellant tree for windbreaks, wildlife habitat and recreational plantings. They are extremely hardy and disease resistant. Crabapples are best grown in a sunny location with good air circulation and have no particular soil preferences, except soil should be well-drained. Root pruned trees transplant most easily. 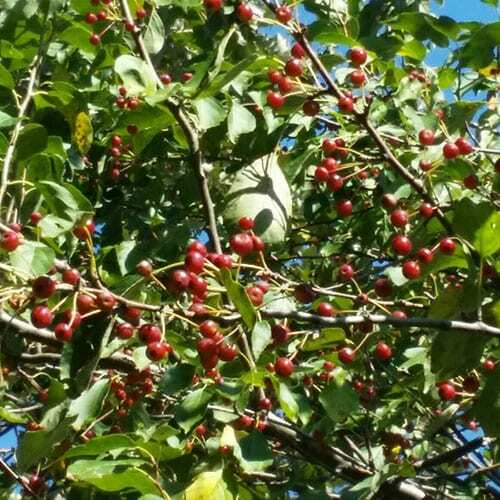 Crabapples are grown for their showy flowers and attractive, brightly-colored fruit. Blooms are snowy white. The leaves are dark or olive green above and pale green below. The bark is ridged to scaley and dark gray to reddish gray.